* Large detached property [500m2]. 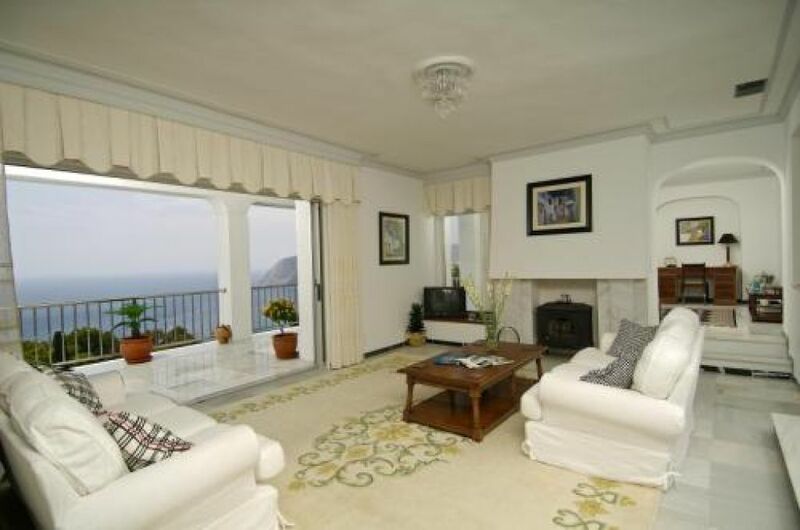 Orientation south west with almost every room having uninterrupted views of the sea. * INSIDE - spacious interconnecting triple reception rooms, fabulous kitchen, utility and elegant sweeping marble staircase. 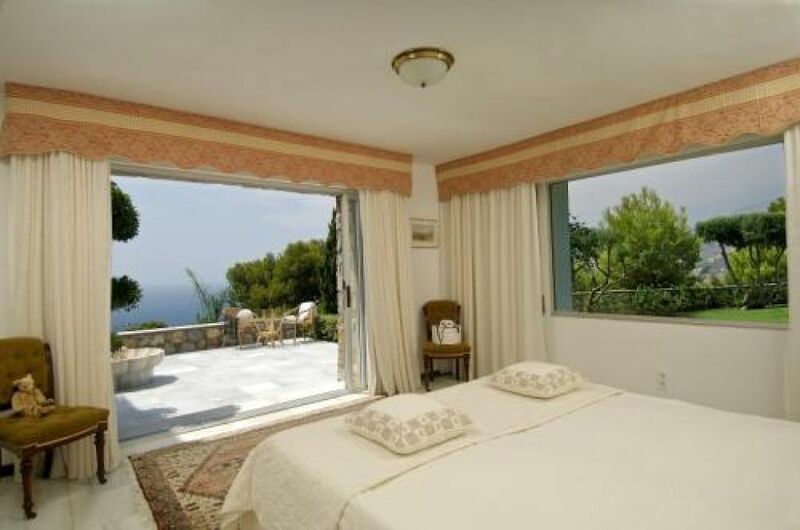 Six double bedrooms, five bathrooms, of which one bedroom and bathroom, together with a further sitting room is arranged as a separate apartment with its own access - internal and external; sauna and cellar. 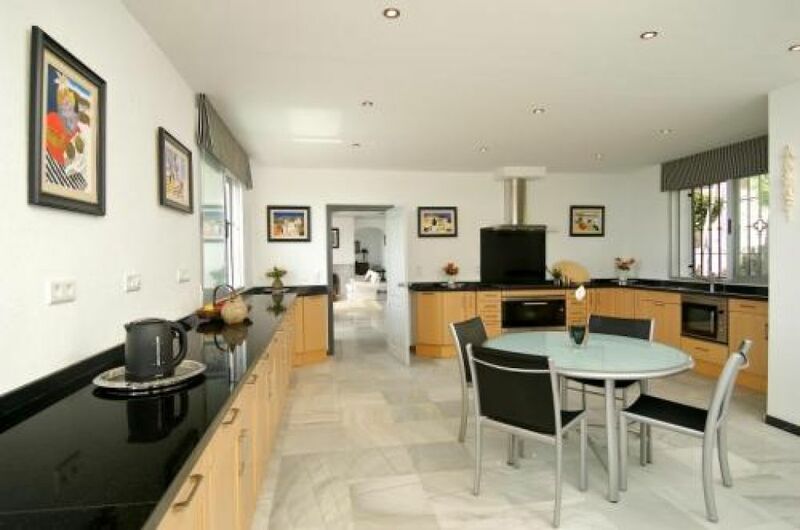 * OUTSIDE - wonderful gardens [plot 1740 m2], 14 metre pool, double garage and parking and approx. 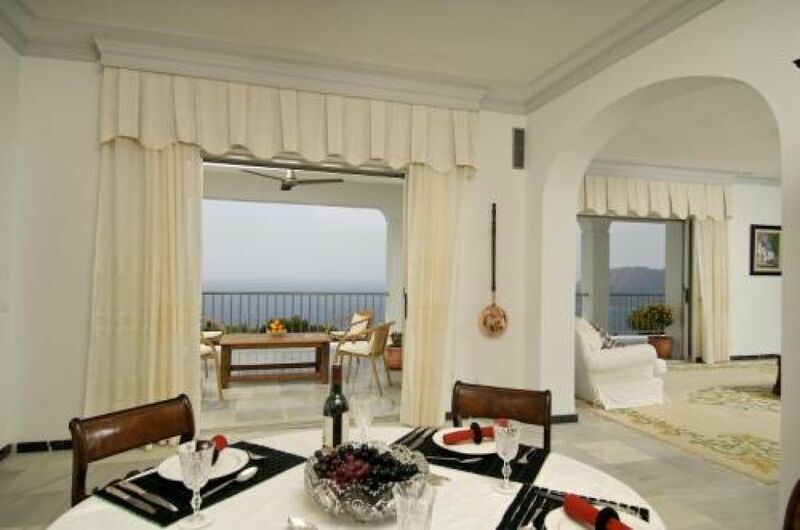 145 m2 of marble floored terraces, of which more than three quarters is sea facing and over 80 m2 is covered. The whole property is enclosed within stone walls averaging 2 metres high. Exceptionally private. * On a cul de sac [4 houses], off a cul de sac, on the most favoured hill on the Punta. 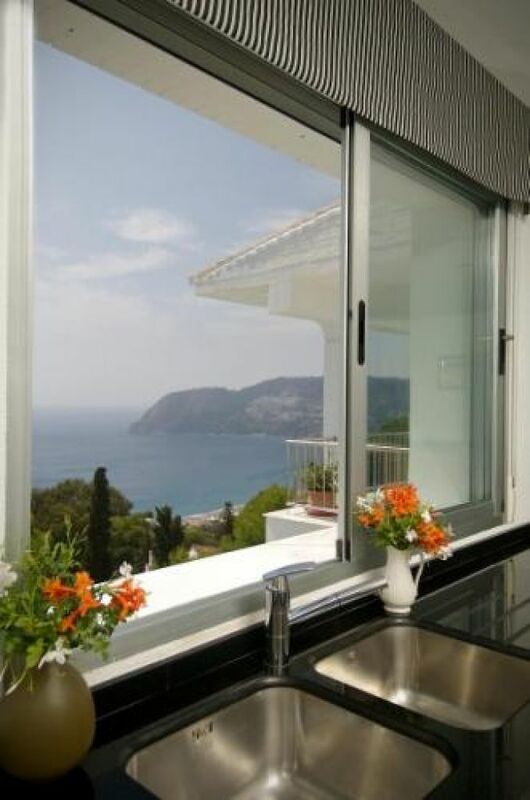 * Spectacular unspoilt 240 degrees views of the sea, the Marina, La Herradura bay, and the mountains. 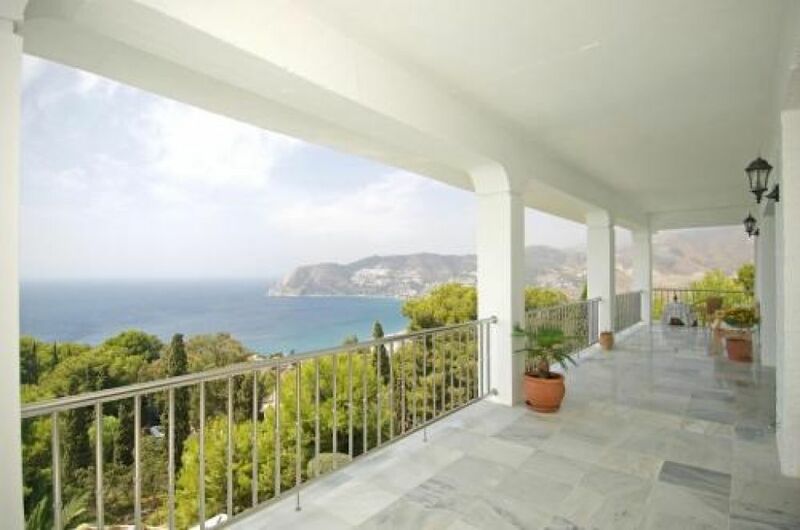 Some 140 metres above sea level and 20 minutes walk [precisely] from La Herradura beach. * House built in 1972 to exacting specifications of American owners, since which time its outer stucture has remained unaltered. Attention to detail is exemplified by the roof overhang which keeps the upper terrace and principal rooms shaded in high summer and lets the winter sun, lower in the sky, flood in when it is so welcome. And by the terrace doors which slide open fully into recesses in the walls. With an unsparing refurbishment over recent years the house is one of genuine distinction. * A harmonious house of light --- all rooms with marble floors, all five bathrooms and cloakroom have matching marble walls, floor to ceiling. All internal doors are the same, and the decor is consistent throughout. PLEASE NOTE: This property is being offered directly for sale by the vendor, and all information and photographs have been provided by the seller. As such, Waterside Properties have not inspected the property, and are therefore not able to verify the correctness of any of the statements of fact contained herewith. Waterside Properties are not acting in an estate agency capacity for the vendor. Please contact the seller directly for further information or to arrange a viewing on 0034 958618046.